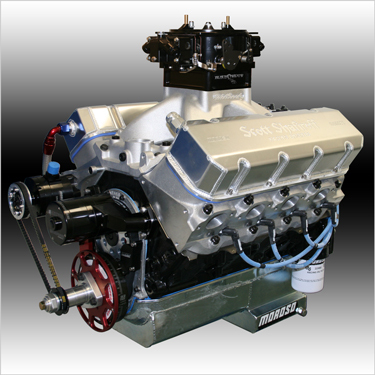 The 565 Is The First Big Block Engine In Our Pro Series Line. If You're Looking For Big Horsepower, Then Get Ready To Hold On! This "Bad Boy" Pushes The Dyno Past The 1000HP Mark. It's Relatively Short Stroke And Conventional Chevy Headed Design Makes This Engine The Durablility King. Total Package Value = $1870 - Save $100!